All is now set for the maiden edition of InterswitchSPAK National Science Quiz Competition this weekend, with the top 81 students picked from over 11,000 applicants vying for the N12.5 million up for grab in scholarship. The contestants were drawn from various private and public secondary schools across the 36 states of the federation, including the FCT. The InterswitchSPAK National Science Quiz Competition is an initiative of Interswitch Group, a leading Pan-African electronic payment and digital commerce company. Business Post gathered that the show will air on television stations across Africa from Saturday, October 27, 2018. The Quiz competition, which is part of the InterswitchSPAK, Switch-a-Future project, will be premiered on DSTV’s Africa Magic Channel 154 on Saturday, October 27, 2018, at 7pm. There will also be a repeat broadcast the following Tuesday at 3pm. Other television stations on which the show will be transmitted are: AIT, TVC Lagos, STV Jos, NTA Kano, EBS Edo, NTA Port-Harcourt, DBS Asaba and OSRC Akure. 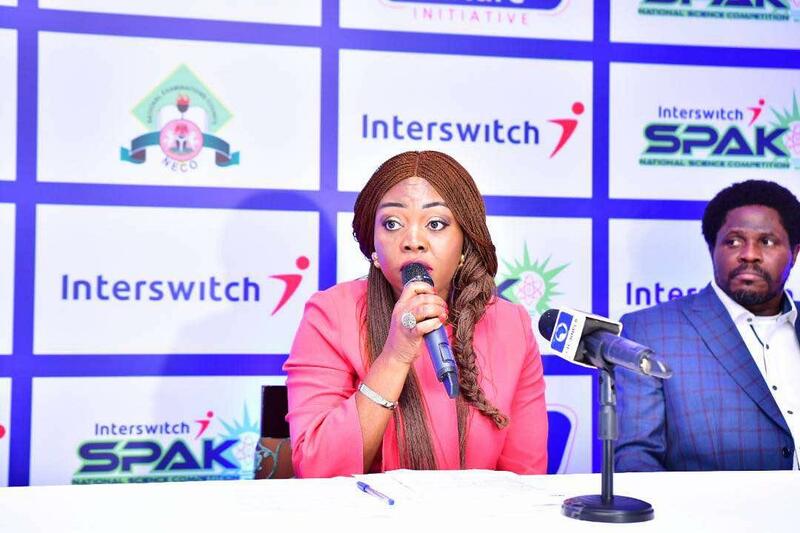 The InterswitchSPAK Switch-a-Future project is a CSR initiative introduced to promote and reward the study of Science, Technology, Engineering and Mathematics (STEM) subjects among Senior Secondary School students across Africa. The competition is focused strictly on SS2 (Year 11) students between the ages of 14 to 17 years. With a N12.5 million scholarship prize available to the winners, InterswitchSPAK is a bold corporate effort to actively promote STEM education, especially among Nigerian secondary school students. The first prize in the InterswitchSPAK competition is N7.5 million in tertiary education (university) scholarship, spread over five years. The first and second runners-up also get varying levels of scholarships. In addition to the quiz competition, the students will also be engaged in an innovation challenge where they are expected to collaborate and brainstorm to provide workable solutions to practical challenges in the Education, Transportation, and Healthcare sectors, based on their knowledge of STEM. Group Managing Director of Interswitch, Mr Mitchell Elegbe, stated that, “The InterswitchSPAK is a huge investment by Interswitch and we are very passionate about it. With this project, we are breaking boundaries, we are going outside the box, we are equipping African youths with the capacity to solve problems. The TV Quiz show which will debut on Saturday, October 27, promises to be very interesting as the students will be expected to collaborate to provide solutions to social problems and at the same time compete for the title of “Best Science Student in Nigeria’. I am looking forward to it and urge Nigerians to tune in”. InterswitchSPAK 1.0 began with a National Qualifying Examination from which the top 81 students qualified, out of over 11,000 drawn from various private and public secondary schools across the 36 states of the federation, including the FCT. The TV Quiz Show was preceded by a Masterclass which took place on August 27, in Lagos. It was a full-day of knowledge sharing and engagement sessions where some of the most inspiring and successful men and women in the society discussed relevant topics with the students.